Chris Davidson's Zapruder film Re-enactment. 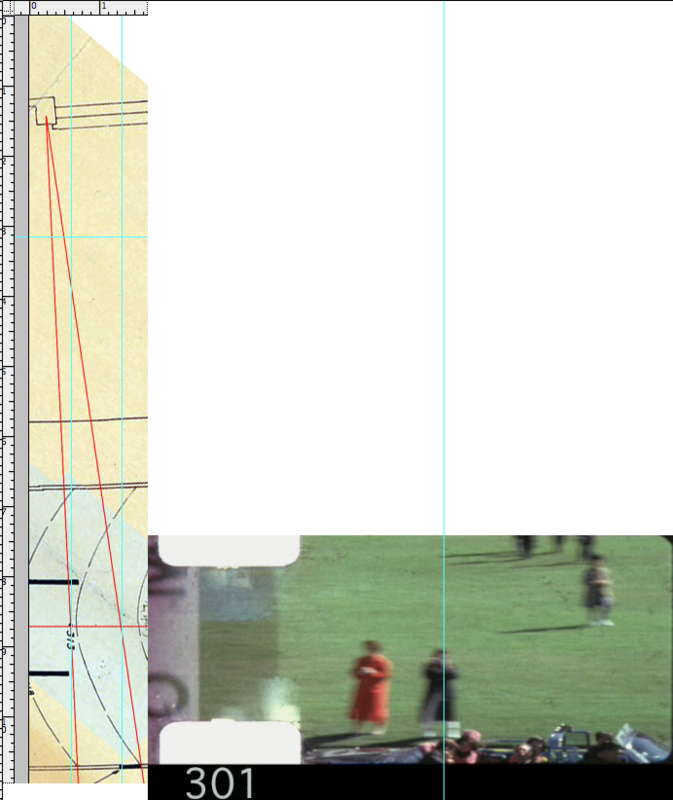 Re: Chris Davidson's Zapruder film Re-enactment. 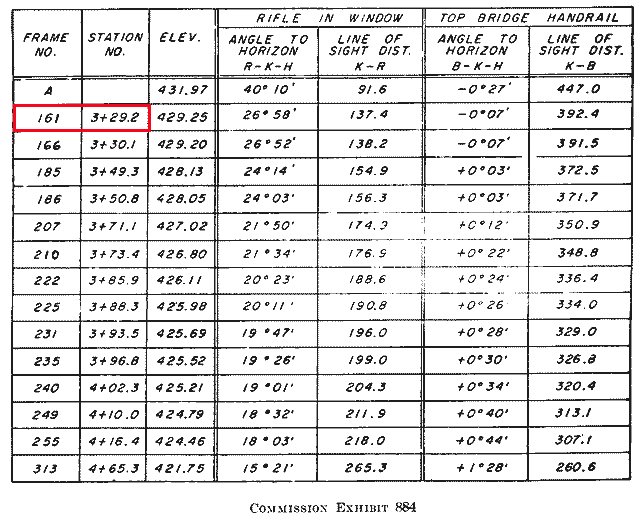 The limo traveling 2.24(public version CE884) or 3.74mph(CE884 version on final WC plat may1964) below. The diorama provided a distance for us. 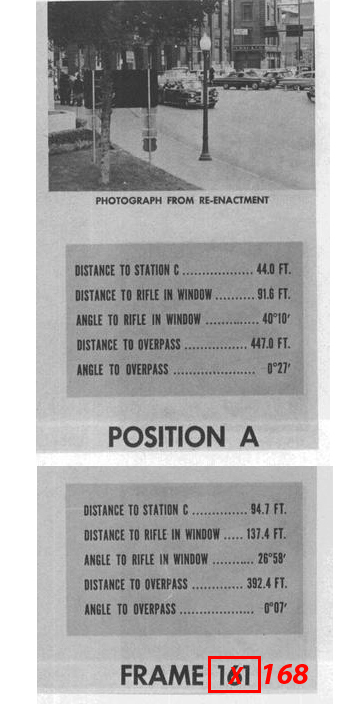 One reason why the WC created different versions of CE884, with the same physical locations (z161/168 - z166/171) applied to different frame numbers. 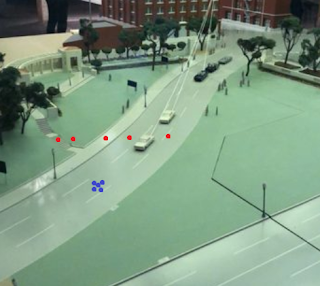 The question surrounding the speed of the JFK Limo is also tied into that same Limo: (1) Not being filmed turning onto Elm St and (2) Suddenly Popping into the Z film already traveling down Elm St. 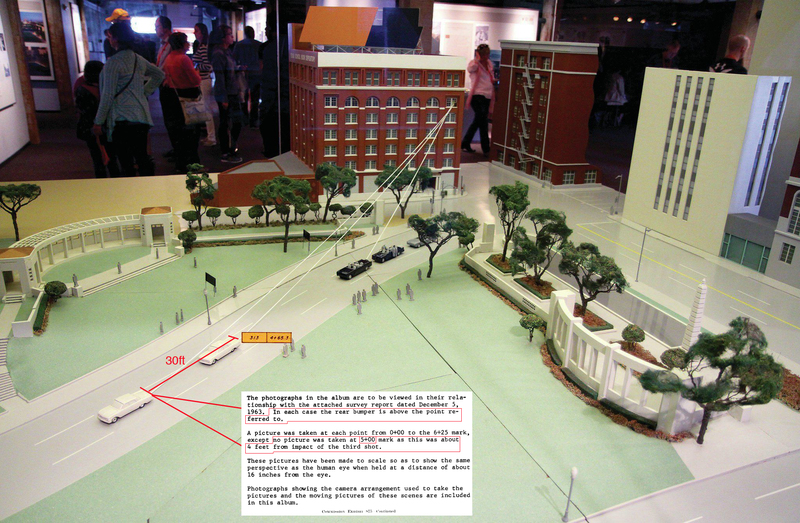 Both Zapruder and Sitzman said they could see the Limo traveling down Houston St and turning onto Elm St from their Elevated position standing atop the Zapurder Perch. The Current Z Film is a Sham. The adjustments were not reflective of the limo traveling at those speeds (2.24/3.734) at zframes (z161/168 - z166/171), they are a reflection of the reduction in speed applied to the limo. zframe 168-z171 was entered as a distance of .9ft traveled. The average speed (slip up by Shaneyfelt) is referred to as 11.2mph. What was the average speed reduced by in terms of mph to get to the limo's speed from Z301-z313? Does that answer ring a bell? What is the ratio of 7.469/11.2? What is the ratio of 3.734/11.2? Mr. SPECTER. Is that a constant average speed or does that speed reflect any variations in the movement of the car? Mr. SHANEYFELT. That is the overall average from 161 to 313. It does not mean that it was traveling constantly at 11.2, because it was more than likely going faster in some areas and slightly slower in some areas. It is only an average speed over the entire run. Governor CONNALLY. As we looked at them this morning, and as you related the numbers to me, it appeared to me that I was hit in the range between 130 or 131, I don't remember precisely, up to 134, in that bracket. Does this CE884 version reflect a continuation of data previous to z168 and back to Position A where Position A = Zframe# ? 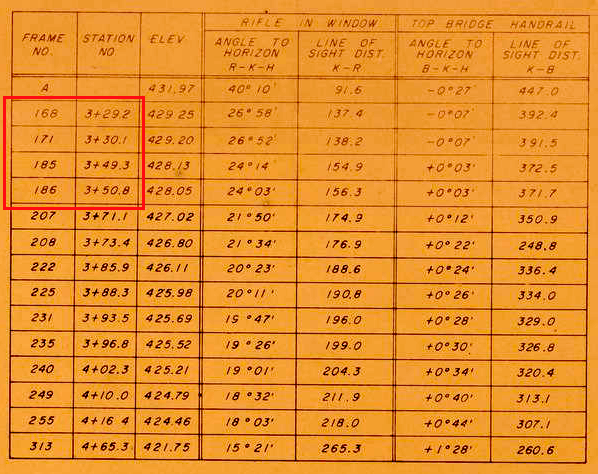 Using the provided WC documentation, this creates a distance of 50.7ft between z168 and Position A. Was the limo traveling 3.734 mph for that 50.7ft? What does the reduction in limo speed look like from z168-z186(red box entries). Notice a theme reoccurring throughout. And every time I post something that rebut's Davidson's illogical "67% of the frames were removed from the Z film" theory, he'll either throw up more math fractions and formulas. Now look at the above. I've put his line of sight with red dots. But according to your logic, the shots took place where the blue dots are, which is why the evil geniuses - according to you - had to remove frames to bring the film up to Z313. There is *NO PROOF* or any testimony anywhere that says ANY of the witnesses heard or saw any shots down where that blue mark is on the above. So if the final "flurry of shells" as the SS driver described it took place at the Z313, and if the old guy is looking upward toward Elm at that time, how in the world did the conspirators spin the old guy's body around in Muchmore so he's looking upward in the Muchmore film?